Flying by private jet or charter aircraft is all about making your life simpler, easier and more enjoyable. 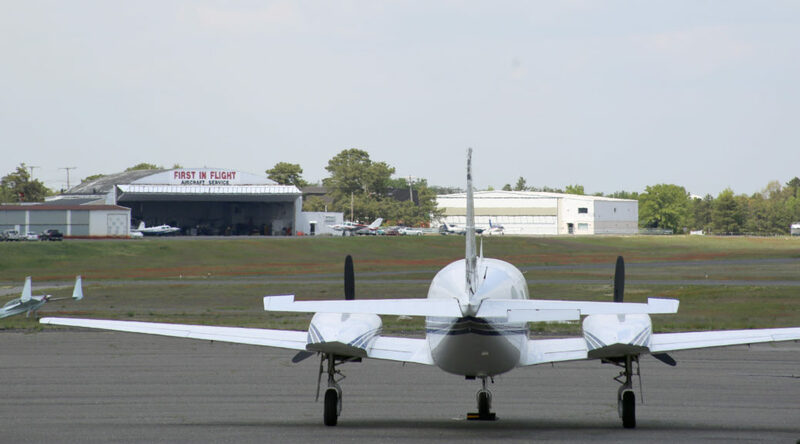 Here are some tips for first-time flyers from Monmouth Executive Airport in NJ to help you make the most of this luxurious experience. Call ahead: Private jets fly according to your schedule, so the charter company’s team will work with you to ensure everything is ready to go as soon as you are. However, if you are running late (a simple check on Google Maps will let you know), it’s best to call ahead and let your contact person know. It’s not just polite, it gives them time to arrange with the airport’s traffic controller for a more suitable take-off time. Parking etiquette: Unlike commercial airports, private airports usually allow you to drive right up to the aircraft for easy access. The crew will then collect your luggage and stow it on board, and your car will be taken to a secure parking area until your return. When driving up to the aircraft, set your wheels opposite the aircraft, remember to put it into park and double check that the parking brake is engaged. Know your luggage limit: Your contact at the private charter company will be able to inform you of your luggage limitations for the flight. These will depend on the size of your aircraft, it’s weight restrictions and how many people you are travelling with, so it’s important to stick to these guidelines. If you have specific luggage requirements, speak to your contact well in advance to ensure it can be accommodated. It’s also a good idea to bring soft bags rather than rigid ones, as they fit better in the aircraft luggage compartment. Alcohol is allowed: You are welcome to bring alcoholic drinks on board with you. The only restriction is that the alcohol must be served by the cabin crew, so you can either request your specific drinks beforehand or bring your preferred beverages with you and let the crew take care of the rest. You still need ID: While private flights aren’t subject to the same restrictions and regulations that commercial flights require, you will still need to present some form of legal ID before you can board, simply to confirm that you are the correct person. If flying internationally, you will still require a passport. Children will also need ID in the form of their birth certificate. Monmouth Executive Airport offers the perfect start to any journey, whether it’s to the next state or across to exotic destinations. With the largest private runway in the country, we can handle even the largest private jets with ease, as well as helicopters, smaller jets and piston aircraft. In addition, we offer hangar space for rent as well as the opportunity to build your own custom hangar space. Our FBO services are extensive and we include on-site aircraft maintenance and repair services, de-icing services, 24-hour lavatory services, aviation fuel loyalty programs and more. For more information about Monmouth Airport or aircraft hangars in NJ, please contact us or visit our website at http://monmouthjetcenter.com/ today. Are You Ready for the 2019 PGA Championships? Catch the World Poker Tour 2019 in Oklahoma this May!